But now Google has announced that the Gmail app is back on the App Store and the bug has been fixed. Google has said that it has received a lot of helpful feedback from users. Plus a lot of other requests to add more features to the app. Based on user requests they have already improved our handling of image HTML messages – they are now sized to fit to the screen and you can pinch to zoom in. Google also promises to add new features including support for multiple accounts and improved notifications. 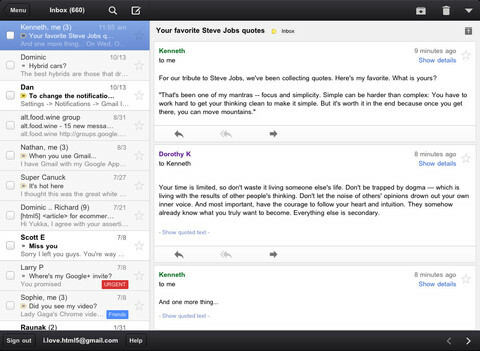 The Gmail app supports iPhone, iPod Touch and iPad and can run on all devices running iOS 4+. If you already have the Gmail app 1.0.1 released on 2 Nov, you will need to uninstall or log out of the old app prior to installing the new app. You can download the latest v1.0.1 from here.